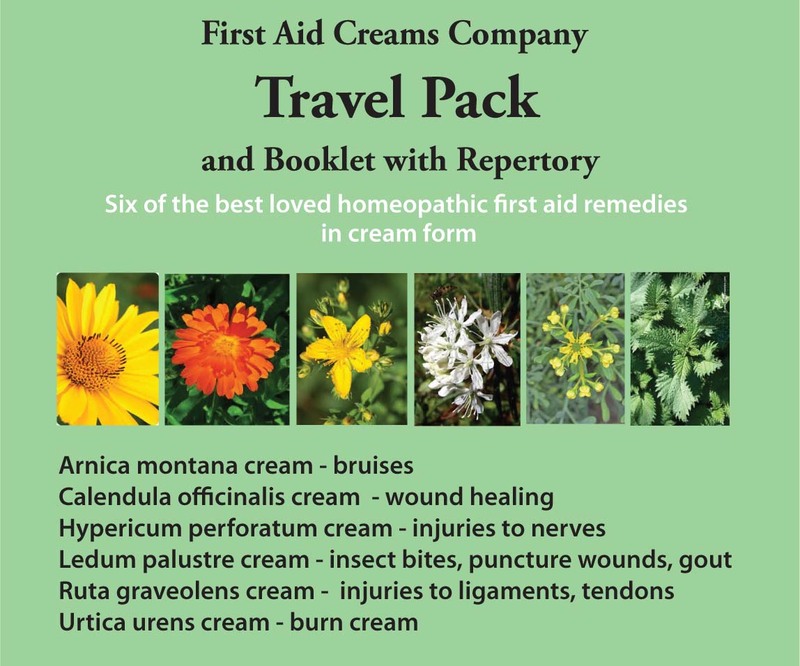 This travel pack contains creams made from six of the most important homeopathic first aid remedies. These remedies and the creams made from them are important, because when selected according to the Law of Similars, “Let likes cure likes,” a resonance takes place that counteracts the effects of the health disturbance, and brings you relief from the symptoms you are experiencing. 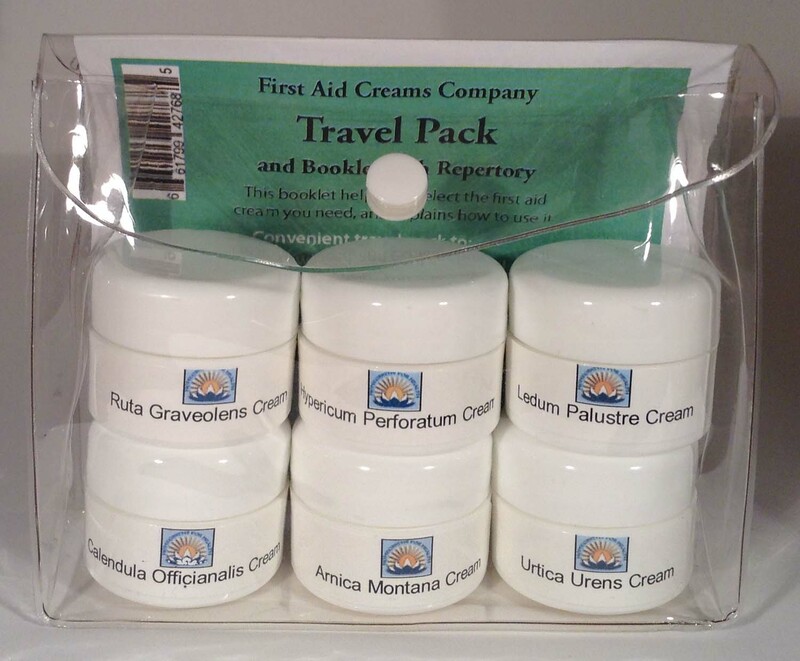 The creams in the Travel Pack come in a convenient plastic pouch, which also holds a little booklet with a brief description of the uses of the creams, a mini first aid repertory and a guide to using the creams. We hope you will enjoy the convenience of this portable travel pack, that will help keep you and your family safe when traveling, going on camping trips, at work, and at school. I love my travel pack! 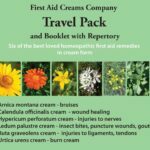 I have been using homeopathic creams for years and they have helped my family and I with so many problems from bruises, sprains, cuts, burns, bug bites and more. 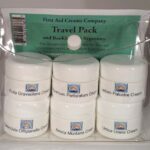 I am so happy with First Aid Cream’s new travel pack because now, rather than collecting all my jars and trying to think of what possible incidents could occur, I just grab my travel pack and have a complete set of homeopathic first aid creams that is small enough to fit in my purse! 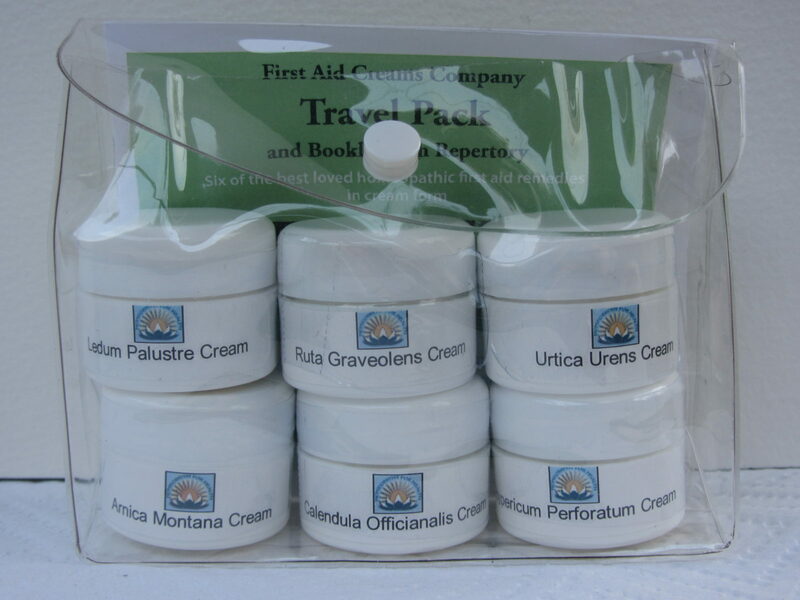 So many times I have encountered an injury or situation that would have benefited from one of these creams but I didn’t bring my jar with me. So happy that now I will be better prepared! I also bought a pack for my daughter to carry with her and now she even shares her creams with her friends that injure themselves at school!